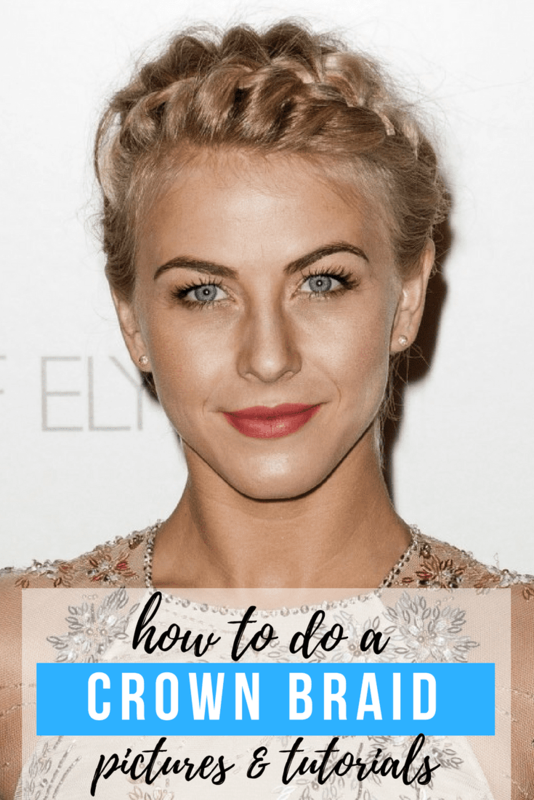 Are you curious about how to do a crown braid? Check out these pictures and video tutorials on how to achieve this look. Now that my hair is starting to grow out a little, I’ve been experimenting with different looks. Particularly braids. I’ve always been curious how to do a crown braid and although my hair isn’t quite long enough for one, I’ll be ready for when it is! Here are a few crown braids for inspiration and ideas on different ways to wear them. Now for the fun part. Learning how to get this look on yourself! Blushing Basics has a super tutorial that makes it look so easy! She says you’ll need a teasing brush, mini hair bands, hairspray and bobby pins. Daily Makeover shares how to do a braid up-do in this tutorial video. Camille Styles (fellow Austinite) shares an easy to do crown braid tutorial. If you love the messy crown braid look, The Beauty Department shares what tool she uses to achieve this look. A men’s shaving brush! Brooke White has an adorable video tutorial showing you the steps to follow. I love this one because she has shorter hair and makes it look like this is a look I could actually do. Enjoy a few more how to do a crown braid tutorial videos below. So…are you ready to try this look for summer?! Next articleSummer Shorts Outfits for Moms: 9 Fashion & Lifestyle Bloggers Share Outfit Ideas!